Amblyopia, or “lazy eye,” may affect how some children see themselves in terms of their ability to do well in school, make friends and be social, and play sports, according to a study published today in JAMA Ophthalmology. Amblyopia is a condition in which one eye has reduced vision due to misalignment or blur, and the poor vision is not caused by a problem with the eye’s health and cannot be corrected with lenses. Eileen E. Birch, Ph.D., of the Retinal Foundation of the Southwest in Dallas and colleagues assessed self-perception in 81 children aged 8 to 13 years. The children were divided into three groups: the amblyopia group, the nonamblyopia group, and the control group. There were 50 children in the amblyopia group. The 13 children in the nonamblyopia group had mild strabismus (eye misalignment), anisometropia (unequal focus between eyes), or both. Nearly all of the children in the first two groups wore glasses. The 18 children in the control group had no vision or eye problems, and none wore glasses. Birch and her colleagues assessed the children’s self-perception using the Self-Perception Profile for Children, which covers five domains: scholastic, social, and athletic competence; physical appearance; and behavioral conduct. It also includes a separate measurement of children’s overall sense of their worth as a person. The researchers also evaluated reading and motor skills in the amblyopia group. Scores for physical appearance, behavioral conduct, and global self-worth did not differ significantly among all three groups. However, compared with the control group, children in the amblyopia group had significantly lower scores for scholastic and athletic competence. The researchers found that the slower the children’s reading speeds were, the lower their scores were on self-perceived scholastic competence. They also found that the less accurate the children were at aiming and catching, the lower their scores were on self-perceived scholastic, social, and athletic competence. 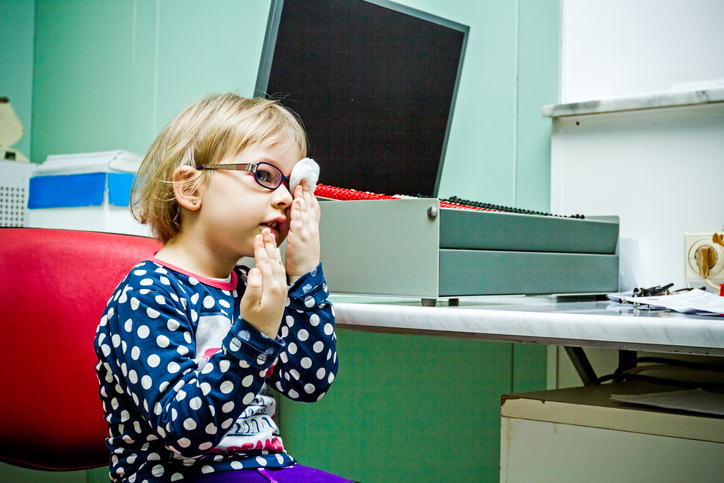 “These findings suggest that lower self-perception is associated with slower reading speed and worse motor skills and may highlight the wide-ranging effects of altered visual development on children with amblyopia in their everyday lives,” the researchers wrote. Like the children in the amblyopia group, the children in the nonamblyopia group had significantly lower scores for social and athletic competence than the children in the control group. However, unlike the amblyopia group, their scores for scholastic competence did not significantly differ from those of the control group. The researchers noted that the small size of the nonamblyopia group limited their ability to determine subtle differences between the amblyopia and nonamblyopia groups. In their discussion, the researchers considered possible reasons for the lower scores in the amblyopia and nonamblyopia groups. 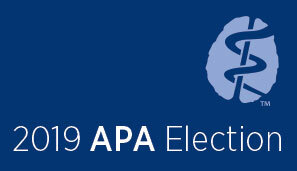 There has been a change in the lineup of candidates running for president-elect in APA’s 2019 election. Philip Muskin, M.D., M.A., has withdrawn his candidacy. Appearing on the ballot for that race will be Jeffrey Geller, M.D., M.P.H., of Worcester, Mass., and Theresa Miskimen, M.D., of Piscataway, N.J. More information about the 2019 election, including APA’s election guidelines, can be found here.